Available in Brown Duck and Natural Duck fabrics. Full cut for over-the-clothes fit. We recommend sizing up at least 1-2 sizes. For example, if you wear size 34 in pants, you would be 36 or 38 in our overalls. Good heavy material so should hold up well. 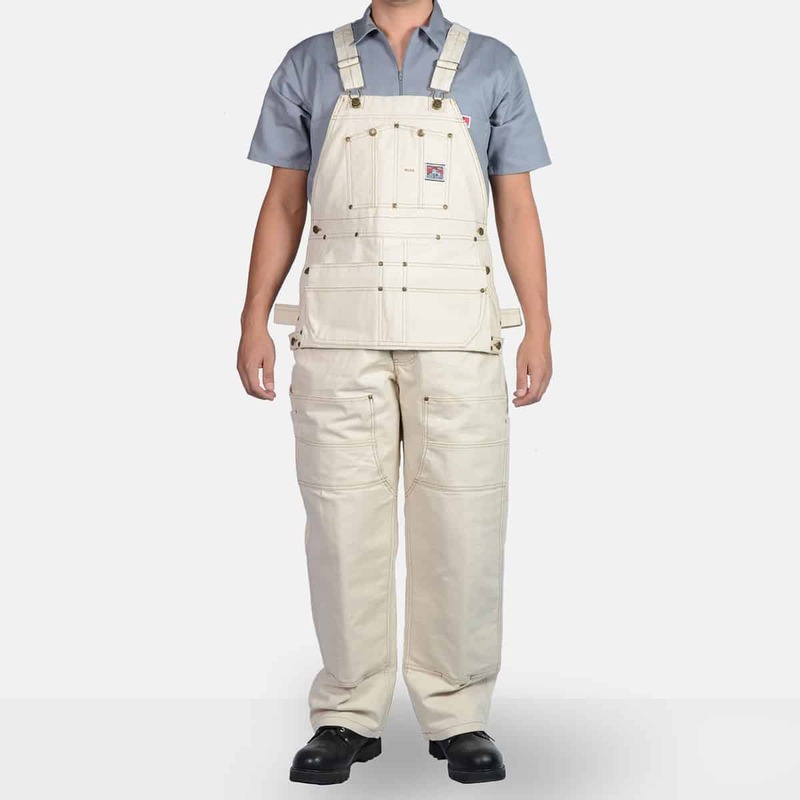 As with another reviewer, I am also cursed with a short inseam so would definitely appreciate a choice below the 30 inch minimum listed for these coveralls. Lifelong carpenter, 30 years. Toughest overall I’ve ever worn. I’ve tried most of them. Wish I had known about these years ago. I wear mine every day unless it’s too warm. I plan to get a pair of these at some point. I think a pair of the trim pants in this color and material would be amazing. Just ordered some white ones. Can’t rate them yet but how about us short guys. I need an inseam 26-28. I worry if cut them will the knee pads be low. R Carlson p. s. I’ve worn this type for 53 yrs. first Carters then Double Wear then Carhartt . Make some short ones.